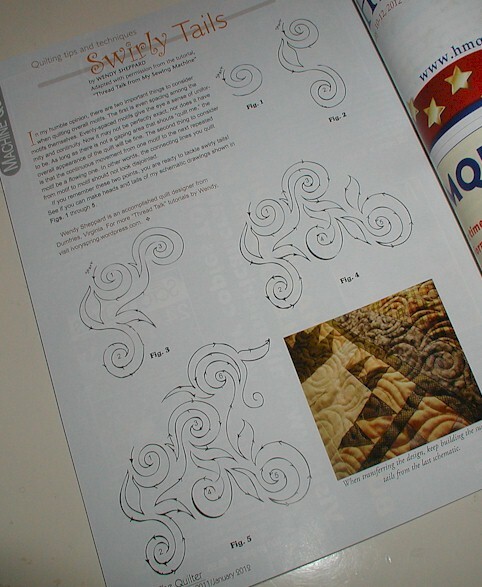 One of my Thread Talk posts “Swirly Tails” was picked up by the editor for publish. I am so excited! p.s. #1 I am waiting for the aforementioned quilts to return to me from the editor for more picture-taking before I share about them on the blog. p.s. #2 I have resumed working – sneak peeks within the next couple of days. p.s. 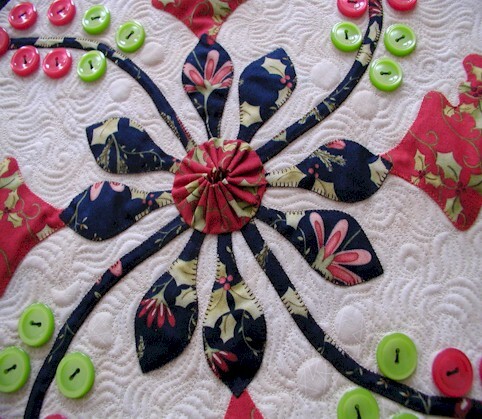 #3 A Thread Talk post about feather quilting is coming in the very near future! 1. 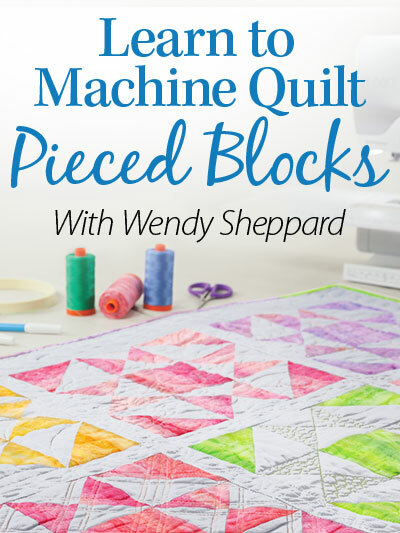 This only works on a non-pieced border, as in border strips made of one long rectangle, or at best borders with corner squares. 2. 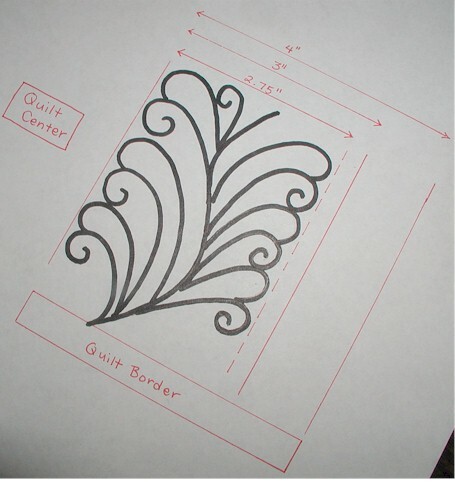 The schematic shows my method for a 3″ finished border. 3. Instead of cutting my strips 3.5″ before piecing, I cut my strips 4.5″ for a “pretend” border of 4″. 4. After the border strips are pieced to the quilt center, I measure and mark 2.75″ from the edge of the quilt center around the border. 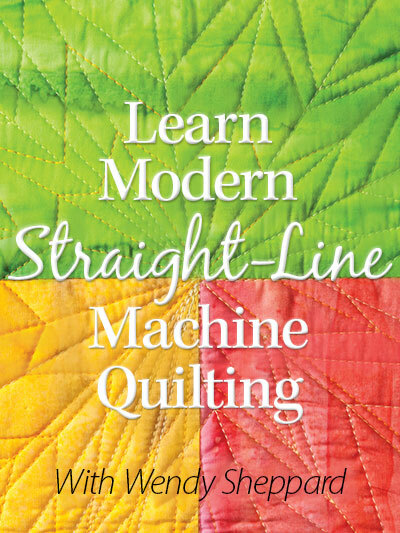 That delineates the outer limit of the my quilting. 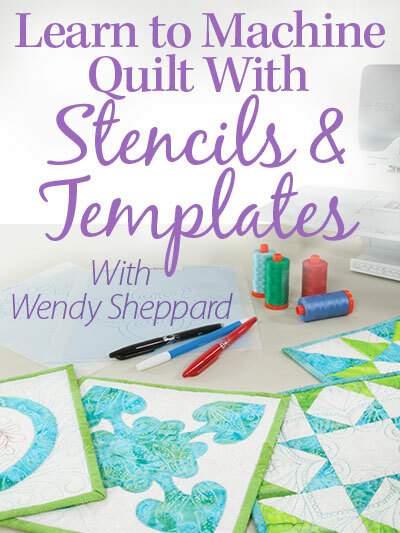 The 1/4″ left from the 3″ finished border will be taken up by the width of the binding strip that is going to show on the front of the quilt – I use my 1/4″ foot to sew my binding strip onto my quilt. 5. 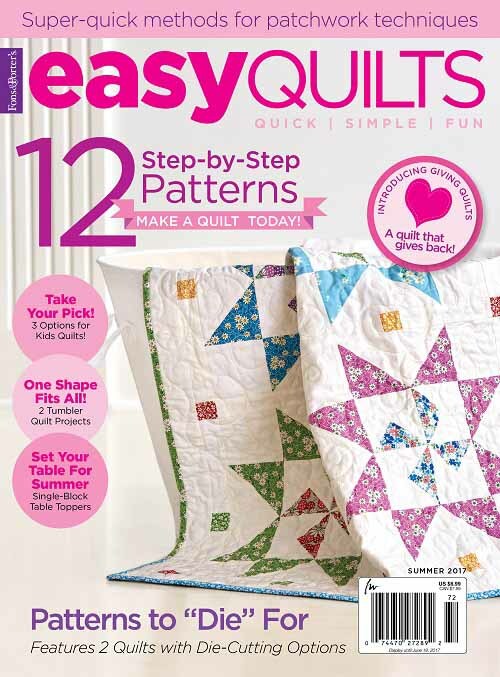 All the above is done before I even baste my quilt sandwich. 6. 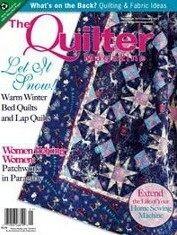 I then quilt my quilt as normal. 7. After the quilt is quilted, I check for ripples and unevenness on the quilt. 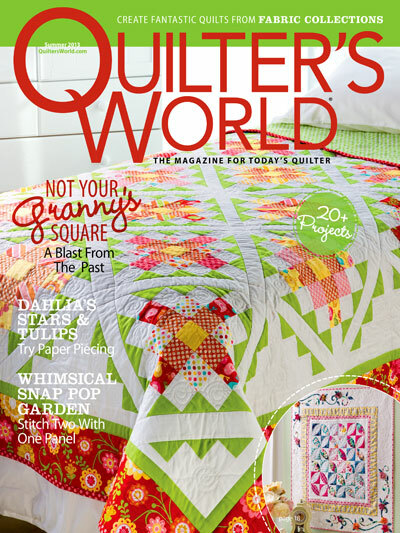 If the quilt looks rippled, uneven and wouldn’t lay flat, I would wet quilt and square up the quilt that way. 8. 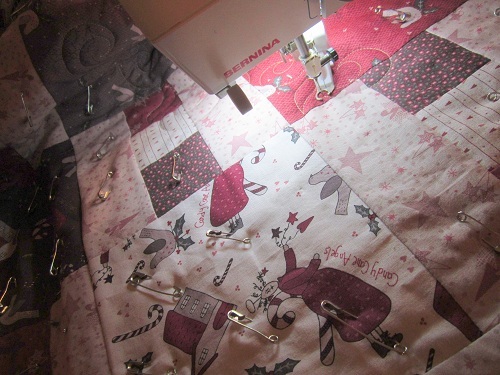 Usually, when I leave an extra space beyond the outer limit of my quilting (in this case that extra 1″ in my pretend border), I don’t have to wet my quilt for squaring if the entire quilt is evenly quilted. 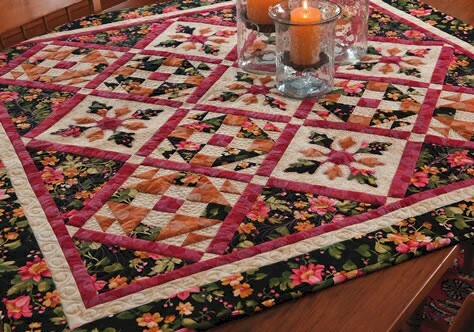 Then I proceed to trim 1/4″ beyond the quilting outer limited, taking care to square up the corners. 9. 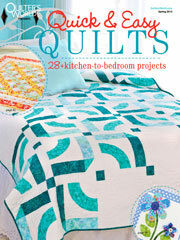 The quilted quilt top is now ready for me to attach my binding. 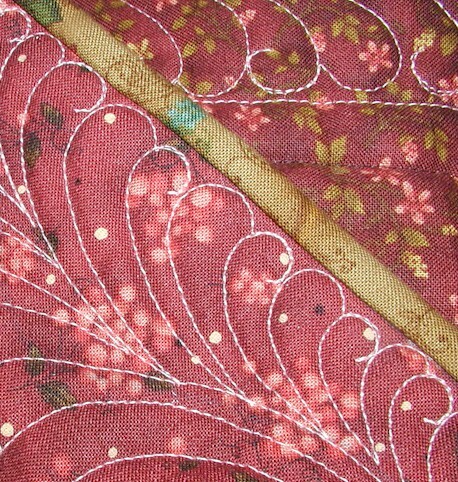 What I have, in this case, are feathers quilted right against the binding, but not covered by the binding! I hope I am making sense… please let me know if I am sounding a bit delusional, by all means!